BEAUXBATONS PROFILE – FILE #151 "A17"
» WAND IDENTIFICATION:length, wood and core. » BUILD: Slim, almost "Pixie-Like"
» DISTINGUISHING FEATURES: Her eyes, though normally a bright sapphire blue, can change colour depending on her mood. » LIKES: The outdoors, she loves exploring and being outside. Drawing, she's a gifted artist like her mother was. » DISLIKES: Liars and fakes. Anyone who tries to or is what they aren't. She was tatught to always be herself no matter what and in turn has made her hold an almost hatred towards those who aren't true to themselves. » GREATEST FEAR: Having lost her mother at a young age, her greateast fear is losing everyone close to her. » AMORTENTIA: Roses and the smell of the air after it's rained. » ERISED: To simply be the best that she can be. » OVERALL PROFILE: A great person to be around for the most part, known to have an emotional lapse here and there but she doesn't let it stop her. Mostly keeping to herself when she needs to be but overall is a great friend who would do anything to help those she cares about. The past is what makes us who we truly are in the present. » FATHER: Jacob Alexander Greene, 38, Editor for the Daily Prophet. » PERSONAL HISTORY: Born in Canada, her mother died when she seven years old. A year later her father moved to Le Mans in France. Never remarried, her father became an editor with the Prophet shortly after. 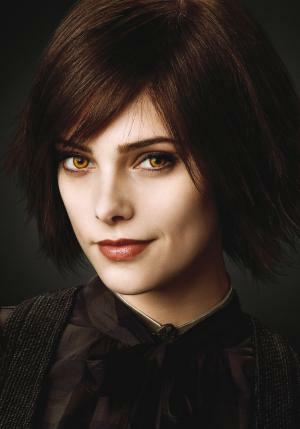 When Alice turned 11 she was enrolled at Beauxbatons where she excelled in both potions and transfiguration as her stongest classes. Never one to fit in with the popular kids she found herself to be best on her own, keeping a close group of friends. » MEMBER TITLE: five words or less. » FILL THIS IN: anything else. » DNA CONFIRMATION: Through a search on forumotion, wanted a site for Harry Potter rolepaying and this one seemed like this best one. THE MINISTRY APPRECIATES YOUR TIME! please proceed to deliver this to the secretary at the wizarding census office on floor six. Heyhey! This application; OFFICE. was made by LUCY a.k.a. COLOURED. At RPGU.